Lovely Beach Home in excellent condition will nice views of Back Sound and East Mouth Bay. Three bedrooms with each having it's own private bath and access to private decks. You will enjoy the large porch and decks with open views. Just minutes from the National Seashore Park and the beautiful Outer Banks area. The home also has additional storage and carport areas . 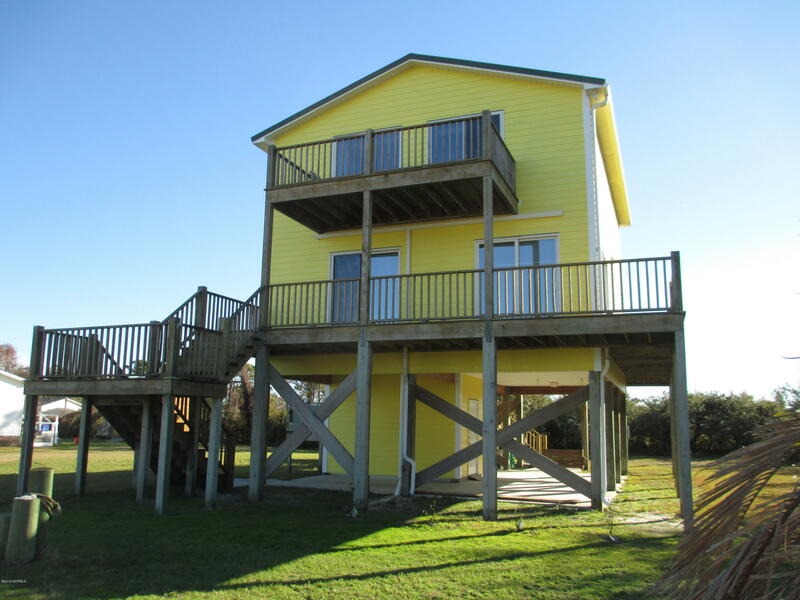 This property will make for a great vacation home for the large family.